We are excited to announce that we will be exhibiting on stand 6184 at The Business Show 2017. The Business Show is where businesses find their next gear. It offers a wealth of opportunity, advice and information crucial for ongoing business growth. With 350 exhibitors, it is also where Britain’s business experts share their secrets. There are 170 interactive training sessions, 250 seminars and 12 master-classes led by industry experts and all FREE to attend. Where else would you get the chance to network with 25,000 other businesses and pitch to panels of multi-millionaire investors? 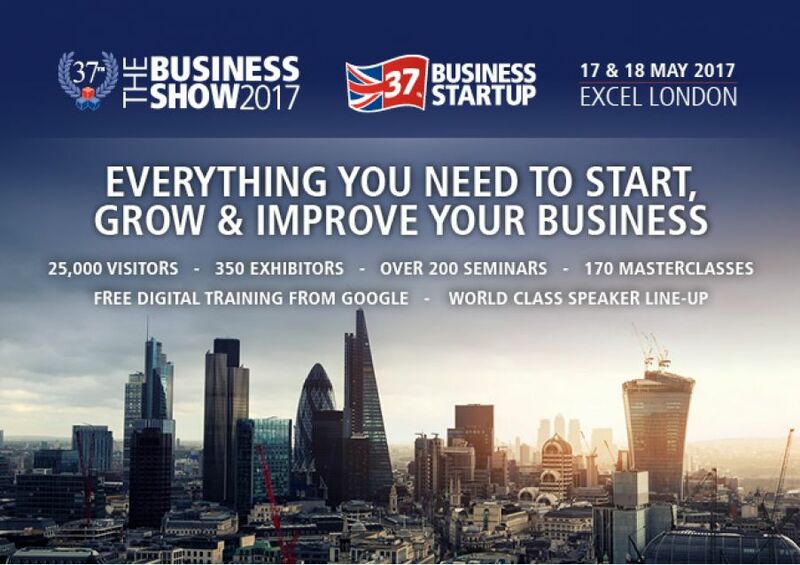 It is also the UK’s biggest exhibition for anyone starting or growing a business, with the 37th ‘Business Start Up Show’ running alongside. …and make sure you come and see us on stand 6184!